A slightly older model with a lot of functionality that has stood the test of time. It lacks Bluetooth and Wifi connectivity, but otherwise a very strong but expensive performer. High 3 GPM Flow Rate. Expensive compared to other models. $195 Current Price - YOU SAVE $42.90. 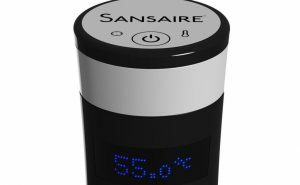 The Sansaire Sous Vide Immersion Circulator was one of the first consumer level sous vide machines to gain popularity. While it's still a reliable high quality unit, the product is a little dated compared to some other models. That said it's still a good choice for people interested in sous vide cooking. 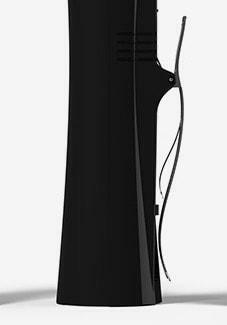 This model is 15" in height which makes this model average sized of all the models we reviewed. it has a standard strength housing and a stainless steel tube housing for the heating unit. Overall this was a solid well put together precision cooker. This model puts out 1100 watts of power, which is higher than the average for the models we reviewed. It has a flow rate of 3 GPM, which is higher than 2.0 GPM average for the models we reviewed. This high power and high flow rate on this model means you will have to be much more vigilant about the water level on extended time cooking projects. The high power and flow rate of this model means it will reach your set temperature a lot more quickly than most models. This is good unit as features and quality are concerned. It has a wide operating range for water levels, has a lot of power and a really great GPM flow rate. Our only real concern is the price, at $195.00 it's one of the most expensive models we reviewed and is really close to the prices of some Commercial Grade Sous Vide Models which are a lot higher quality. It's not a bad unit to choose is just not the best value for your money. 15" x 3.3" x 3.3" 14.8" x 2.8" x 2.8" 11" x 1.9" x 1.9"
The Sansaire Sous Vide is a high quality model that has proven to be a favorite for many years. It's unique design enhances it's usability giving you features you won't find in other models. All of this doesn't come cheaply though.